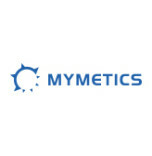 Mymetics (OTCQB: MYMX) is a Swiss based biotechnology company, with a Research Lab in the Netherlands, focused on the development of next-generation preventative vaccines for infectious diseases. It has currently has 5 vaccines in its pipeline: HIV-1/AIDS, intra-nasal Influenza, Malaria, Herpes Simplex Virus and the RSV vaccine. Mymetics’ core technology and expertise are in the use of virosomes, lipid-based carriers containing functional fusion viral proteins and natural membrane proteins, in combination with rationally designed antigens. The company’s vaccines are designed to induce protection against early transmission and infection, focusing on the mucosal immune response as a first-line defense, which, for some pathogens, may be essential for the development of an effective prophylactic vaccine. The company’s unique approach is being validated through partnerships with leading pharmaceutical or research organizations, including Big Pharma, PATH-MVI and the Bill and Melinda Gates Foundation.